Merry Christmas from the I.T. crew! Del and Zen got last year so this year I decided Emil and Kiddo should represent. Anyone else think Kiddo made it a little too easy for him to steal this kiss? 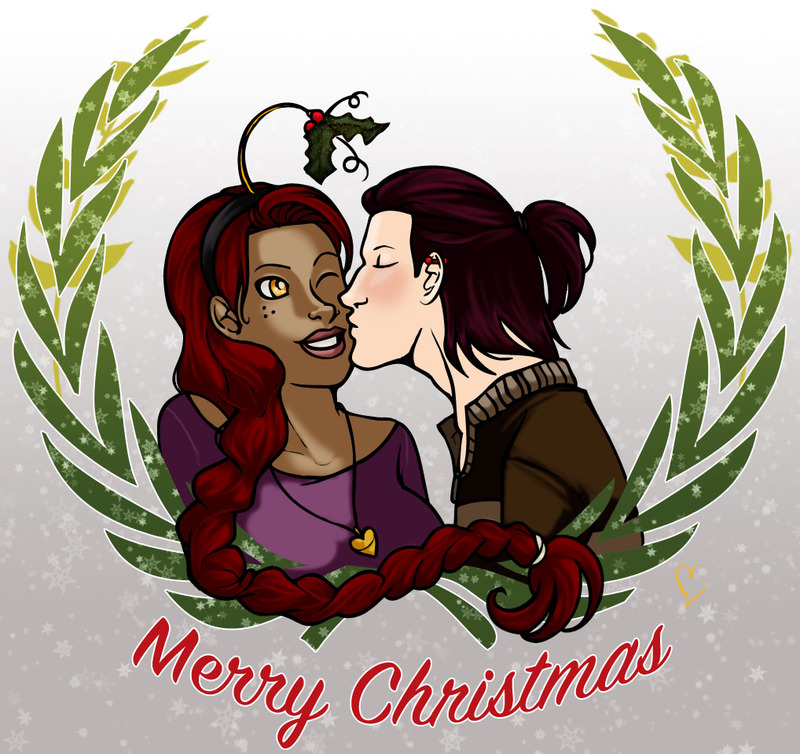 This entry was posted in artwork, cute girls, Digital art, female comic artist, Graphic Novel, illegal tender, illegal tender comic, illustration, original work, photoshop and tagged art, artist, artwork, black female artist, christmas, christmas 2014, digital art, emil zell, female comic artist, illegal tender, illegal tender comic, illustration, lily breland, musashden, original character, original work, photoshop. Bookmark the permalink.